With three disciplines to master, triathletes are particularly vulnerable to injury. Recover quickly, prevent overuse injuries and stay healthy all season long with these tips. One of the most common questions triathlon coach Gale Bernhardt gets asked by her athletes involves pesky leg muscles. Find out what she has to say about causes and prevention of those debilitating thigh cramps. Many triathletes suffer from back aches and pains. With the right approach, Pilates can help reduce and eliminate back pain. Leg muscle cramps can end your triathlon race in a hurry. Learn why cramps strike and what you can do about it. You can't always prevent injury, but you do have the power to control how you deal with it. Use these strategies to stay positive and on top of your game. Avoid devastating injuries during your training. Here are ways to make sure small tweaks don't turn into big problems. Your body knows when it can't go on. Here are signs to look out for and training tips that will reduce your risk of injuries. An injury-free triathlon career may be no more achievable than a perfect race. Yet with a good knowledge of how injuries are caused, you can do your best to prevent them. To many athletes, shortness of breath is a sign of hard work and intense effort. However, symptoms of possible exercise-induced asthma should not be taken lightly. Muscles need to breakdown in order to improve, but too much muscle trauma can have a negative effect. Minimize harmful muscle damage and maximize regeneration and recovery with these steps. 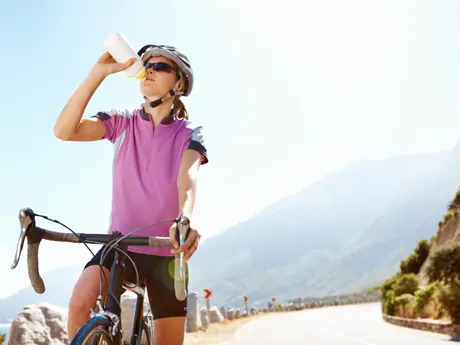 The prevalence of the female athlete triad among young women has become an increasing concern for physicians and parents. Let's examine the conditions it's comprised of. Is it possible to fall asleep during training? Find out how a few athletes exceeded normal levels of exhaustion. What do athletes affected by CFS have in common? Learn the different steps they now take to fight extreme fatigue. Roch Frey and Paul Huddle; two of the best-known coaches in triathlon, discuss the proper way to spend your offseason and the new low-carbohydrate, high-protien 'Atkins-style' diets that have become so popular. As triathletes, we wear many other hats in our lives: parent, spouse, busy professional, student... Juggling it all and finding time to train can be difficult. Often, the first sacrifice is sleep. Nagging running-related injuries can lead to a difficult season. Use these four key pieces of the injury-prevention puzzle to avoid being hobbled by persistent pain. Q & A: How Do I Treat Achilles Tendonitis? When chronic Achilles tendonitis rears its ugly head, your training can take a nosedive. Consider these prevention and treatment tips to get you back in the game. 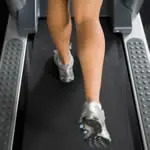 Does running on a treadmill cause your feet to stiffen with tension and become sore? Here's how to pinpoint the source of your pain and work around it.